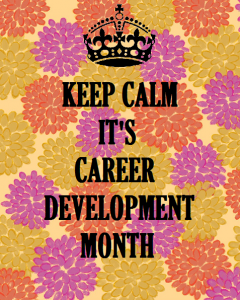 November is National Career Development Month; for the Career Center at The College of Saint Rose there are many events and activities being held. 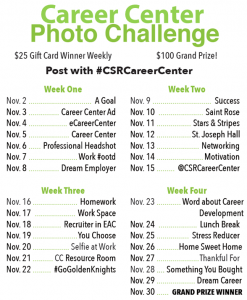 On November 6th the Career Center sponsored a free LinkedIn Headshot event where students could come into the Main Lounge of the EAC to get a professional headshot taken by iSmile Studios. This event ran from 11am – 1pm and we had about fifty students participate. Be on the lookout for more events like this in the Spring! 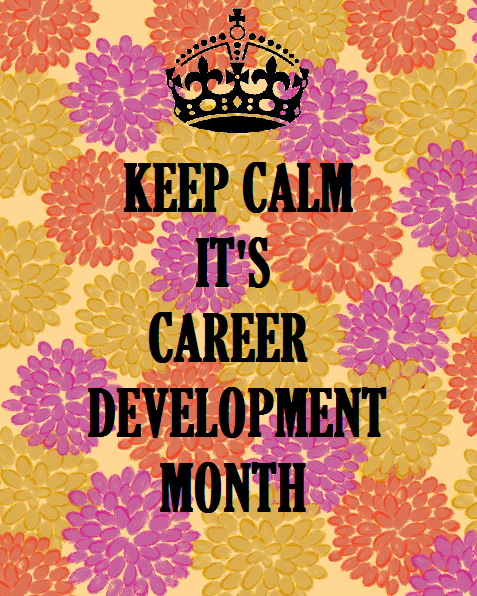 Thursday, November 13th is our Career Roundtables event. This event allows students to “Network with members of the Alumni Association National Board of Directors, Board of Associates, and other alumni.” The Career Roundtables event will occur in the Standish Conference Rooms A & B from 4pm – 5pm. This event is a great way for students to improve upon their networking skills and it can allow for amazing connections to be made. 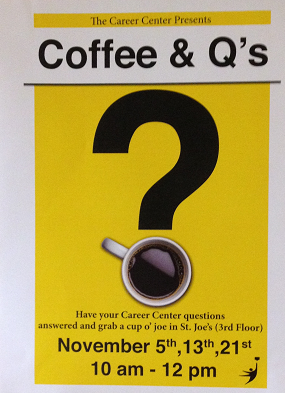 Thursday, November 13th as well as Friday, November 21st the Career Center is hosting Coffee & Questions in our Resource Room, located on the third floor of St. Joe’s Hall. Come between the hours of 10am – 12pm to ask us any questions you have about the Career Center and enjoy a cup o’ joe; as for all of you non-coffee addicts, we are also offering hot tea and hot chocolate. 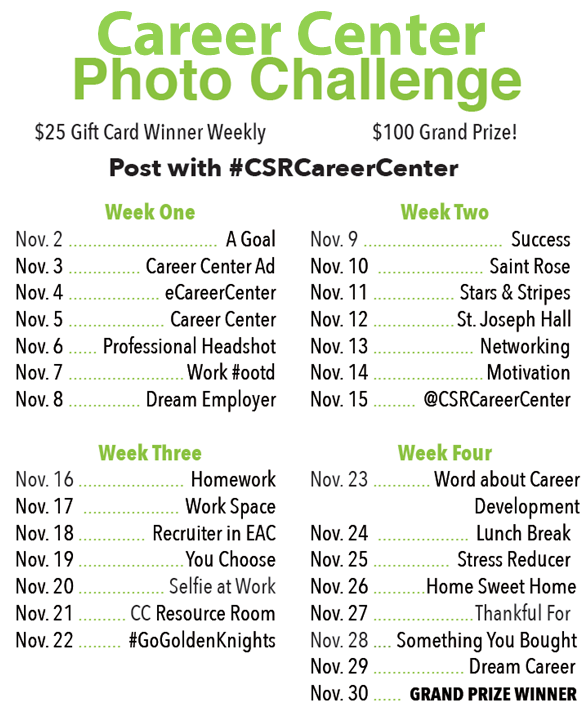 Through the duration of November @CSRCareerCenter on Instagram & Twitter is hosting our very first ever Photo Challenge which is shown below. There is one winner a week where a $25 gift card is given and there is also a $100 grand prize winner at the end of the month.